Boulder Brook navigates its way between two rocks on its way through this beautiful forest located in Rocky Mountain National Park. 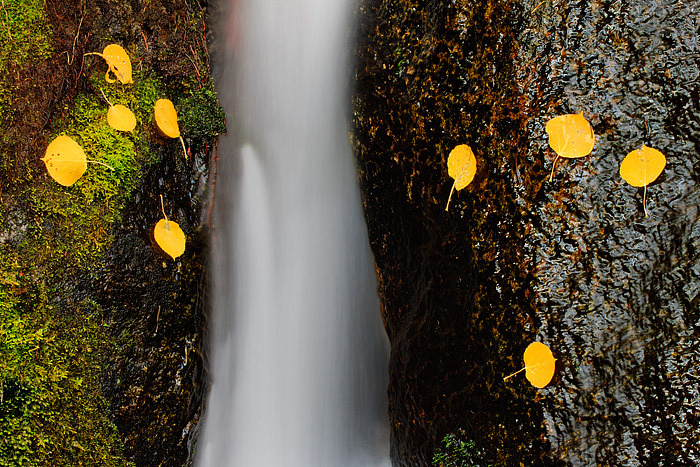 It's Fall and golden yellow aspen leaves have fallen on the rocks along Boulder Brook. The Autumn season in Colorado presents the photographer and hiker with beautiful scenes of grandeur and also more subtle beauty in more intimate scenes such as these. Photo © copyright by Thomas Mangan.